When was the last time you went off-grid? Like back to basics, no phone, no 3G, no home comforts off-grid? My guess is that it’s been a while. But today the idea of escaping it all, if only for a while, is a nostalgic notion which we all secretly long for in our hectic on the go lives. Remember when you were a kid and you could run wild in the woods? Free to build forts, climb trees and swing from make shift ropes. When emails meant nothing and getting filthy was all part of the fun. Well Badgells Off-Grid Woodland Campsite in Kent is taking it back to basics and making camping today what it once was. Badgells offers quiet, woodland camping for real campers that want to get back to nature. Here you won’t find crowded campsites teeming with caravans and loud holiday makers, at Badgells you can expect a secluded pitch under a canopy of trees, with plenty of space to yourselves and nothing but the wildlife as your background noise. 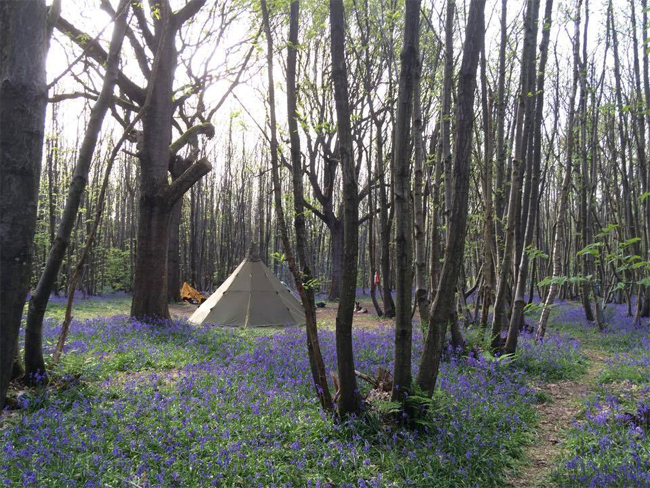 Located at the top of the Kent North Downs, Badgells is not only a campsite, but a designated local wildlife site dedicated to conservation and preservation of the woodland environment. Conserving this natural environment is of the utmost importance to Badgells, so guests are asked to partake in the up-keep by following the camps rules. The site provides recycling facilities and biodegradable washing-up liquid and shower gels to go that extra mile and they also ask you purchase the wood for your fire onsite, so as not to pollute the trees and greenery; a bag of fire wood is as cheap at £10.00. Also don’t forget to stop by their very own farm shop and get your free range eggs from the hens that live at Badgells for a brekkie fit for a camping king in the morning! 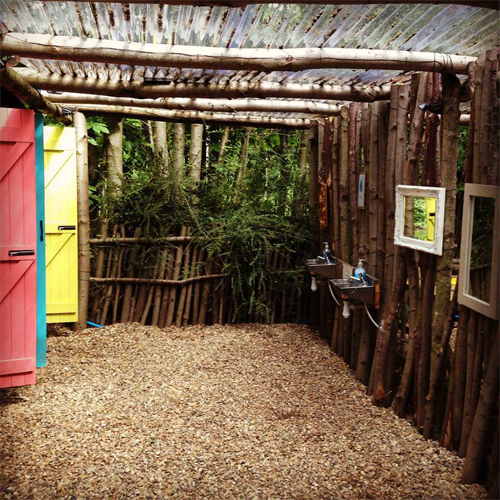 Although Badgells does offer shower and compost toilet facilities, don’t expect steaming hot water and remember to keep water usage to the minimum; Badgells, unlike other mainstream campsites, does not run off the mains. So leave your fancy beauty and camping products at home and just embrace the eco nature that Badgells is famed for. The site also offers activates to keep you busy in the day such as bushcraft lessons and archery. So if you fancy getting your Bear Grylls on and learning how to get a fire going in any weather, then this is not to be missed. Badgells have teamed up with Black Wolf Survival to deliver all of the courses. These guys are trained bushcraft, survival and archery specialists and registered with the Institute of Outdoor Learning. 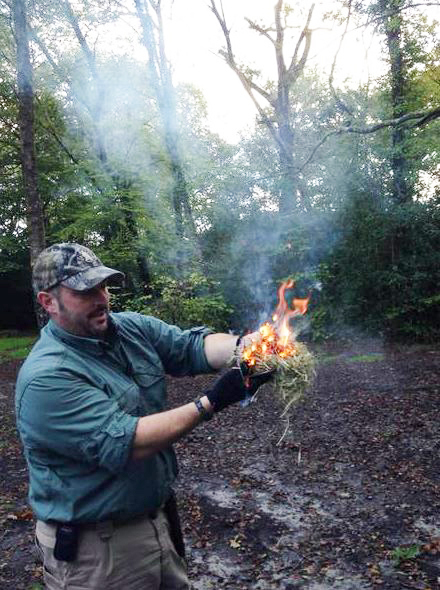 You can expect to learn everything from knife skills and carving, game preparation and advanced fire-lighting to general survival skills during the £12.00 afternoon session. 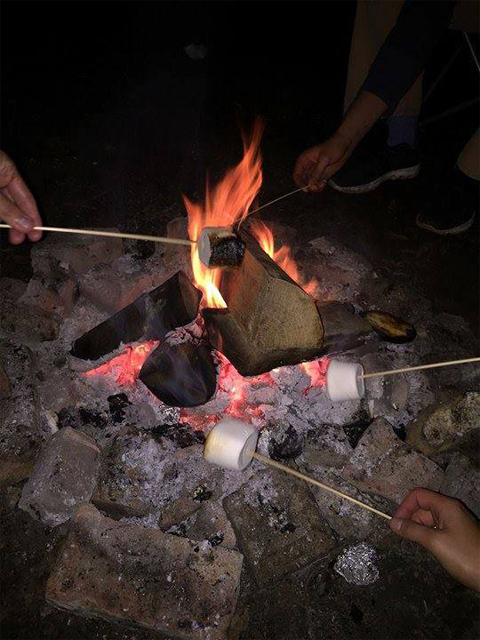 If a weekend getting away from it all and immersing yourselves in beautiful ancient woodland sounds like your idea of heaven, then head to Badgells and allow nature and the magic of the campﬁre to send you home feeling healthy, energised and relaxed.